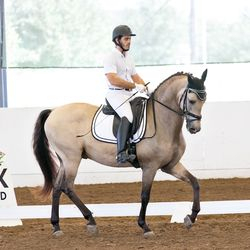 I am an USDF Gold, Gold Bar, Silver & Bronze medalist rider, horse trainer & coach, available for any student passionate about the art of dressage and about improving the abilities of their horse. 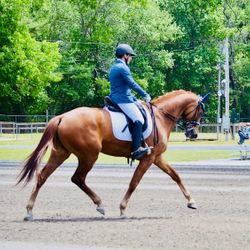 I based my training system upon decades of experience with a wide variety of horse breeds, as well as bringing years of experience in leadership and sport coaching (I am both a certified leadership coach and fitness coach). 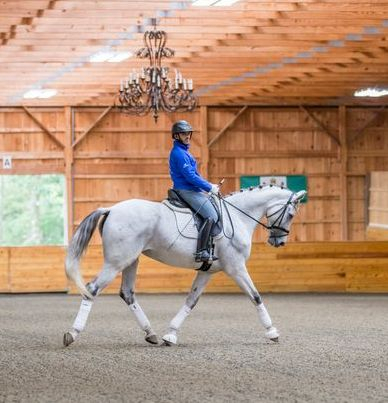 Unlike most traditional training approaches, my system strongly emphases on the rider's mental coaching, on goals settings, action plan roll-outs, beyond just the training plan related to the horse. As long as I can remember, I've been riding horses! I started my equestrian life in the South of France, my home country. After obtaining the "Galop 7" certification with the French national federation, I've started competing regionally and nationally in France in the 3 disciplines: dressage, show jumping and eventing. 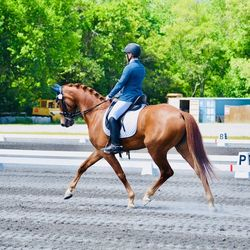 After years of showing in different countries in the 3 disciplines - and up to Prix Saint Georges level in dressage, I've decided to dedicate my riding to dressage in 2012, after moving to Houston, Texas. I've competed my own horses and obtained both my Bronze and Silver medals in 2015. In 2017, I obtained my Gold Medal on a self-trained horse called Renoir, as well as my Freestyle Gold Bar with my second Grand Prix horse Montesol. I have started several young horses both in Europe & the US, and competed several of them in breed shows. 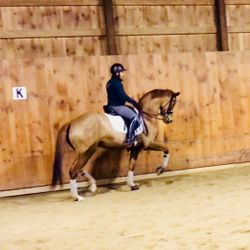 I have experience with a large variety of breeds, from warmbloods to thoroughbreds, ponies to draft horses, with an emphasis on baroque breeds. I have helped several students achieve their USDF Bronze and Silver medals scores, and have actively coached Gold medalists as well. I also actively use the mental coaching tools I have used for over a decade in the corporate world in leadership management, as a fitness trainer and also the sports & life coaching tools I have used for myself. 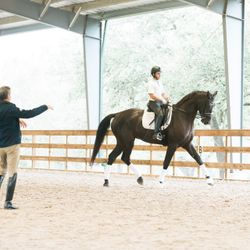 Giving back to the dressage community is an important part of my commitment to the sport, and as such I have served in 2017 on the board of the USDF Region 9 GMO Houston Dressage Society as Historian/Social Media coordinator, and currently member of the Board pf Director of the Region 8 GMO NEDA (New England Dressage Association) as Sponsorship Coordinator. 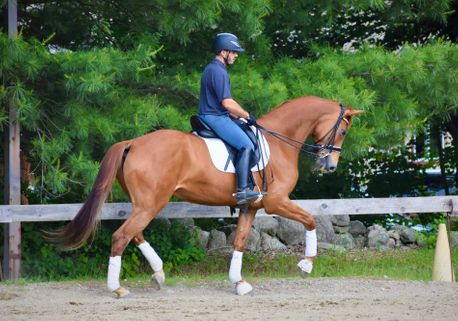 I am currently based out of Settlement Farm in Townsend, Massachusetts, and welcome trailer-in lessons. I am also available for weekend clinics either in New England, or anywhere in the US. 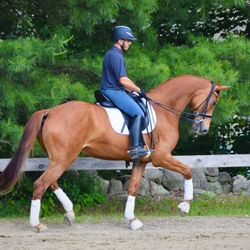 My training program is based on the principles of Classical dressage. In a nutshell, it refers to the development of a mutually respectful, harmonious relationship between horse and rider. 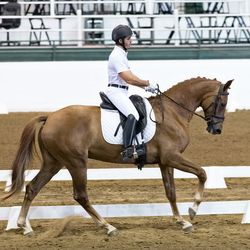 A classical rider focuses on his horse’s abilities rather than on its inabilities. In my opinion, all horses may be able to perform the movements of the Grand Prix, as long as they can physically do it without injuries. Rather than disciplining the horse because his conformation does not allow perfection, the rider accepts his horse’s best. That is not to say that the horse cannot improve his carriage or presentation with proper conditioning. 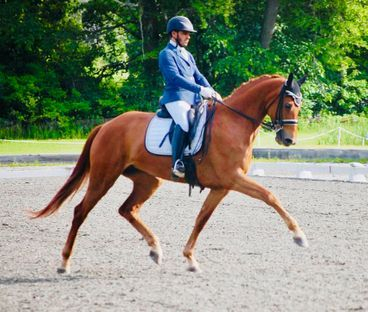 Classical dressage is all about time! Like the rider, the horse also takes years to develop. Each movement is dependent upon sufficient training of previous movements. 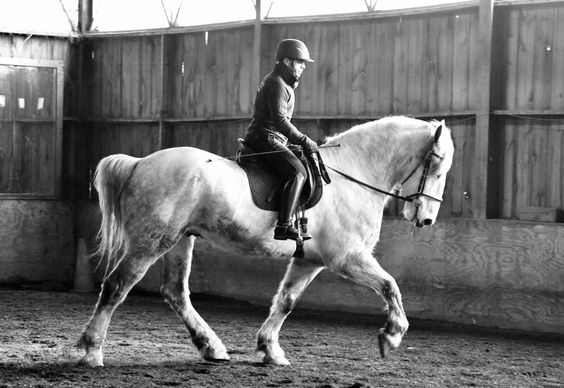 As the horse progresses in its training, gaps in training will become more apparent. If the horse is not adequately prepared, the highest levels cannot be attained. That is why training and classical dressage is about time, not about shortcuts and training gadgets and gizmos. No training device or shortcut will ever surpass good foundation work. © 2019 Vincent Flores Dressage. All Rights Reserved.